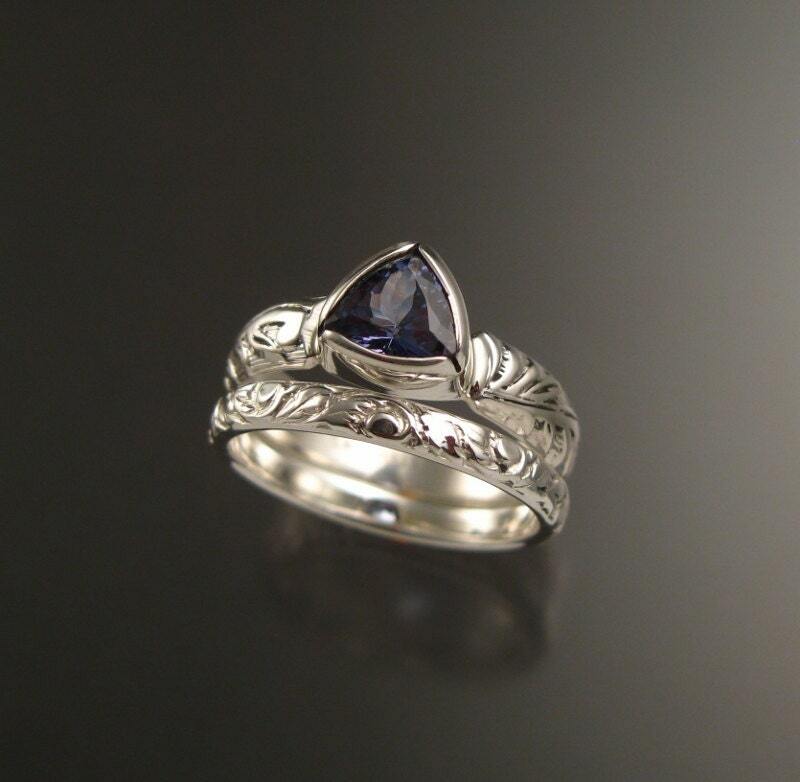 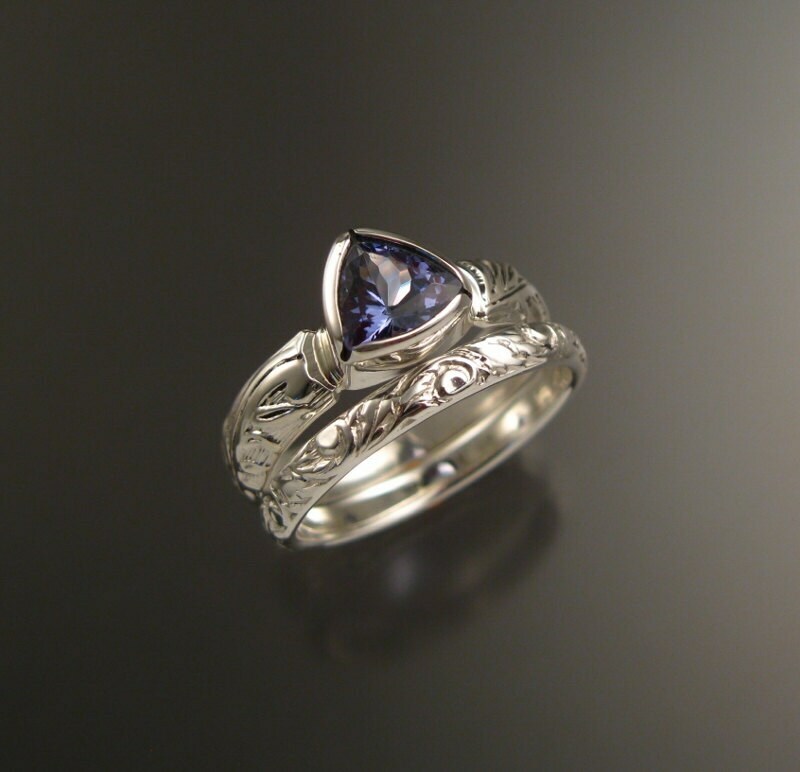 6mm natural Tanzanite triangle is bezel-set in sterling silver with 4mm wide Victorian floral pattern band. 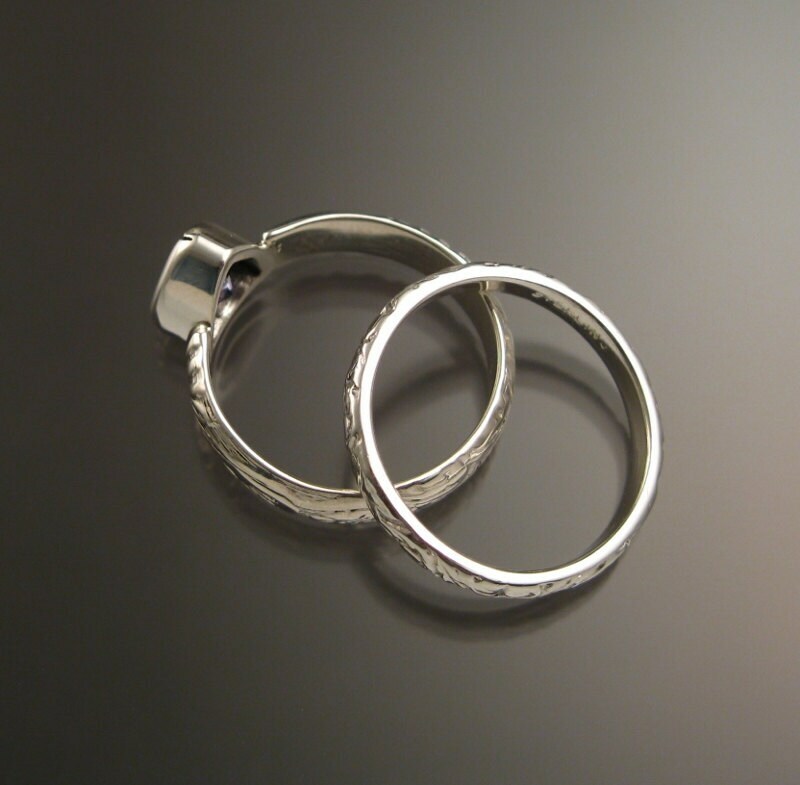 Comes with matching 2.5mm wide band. 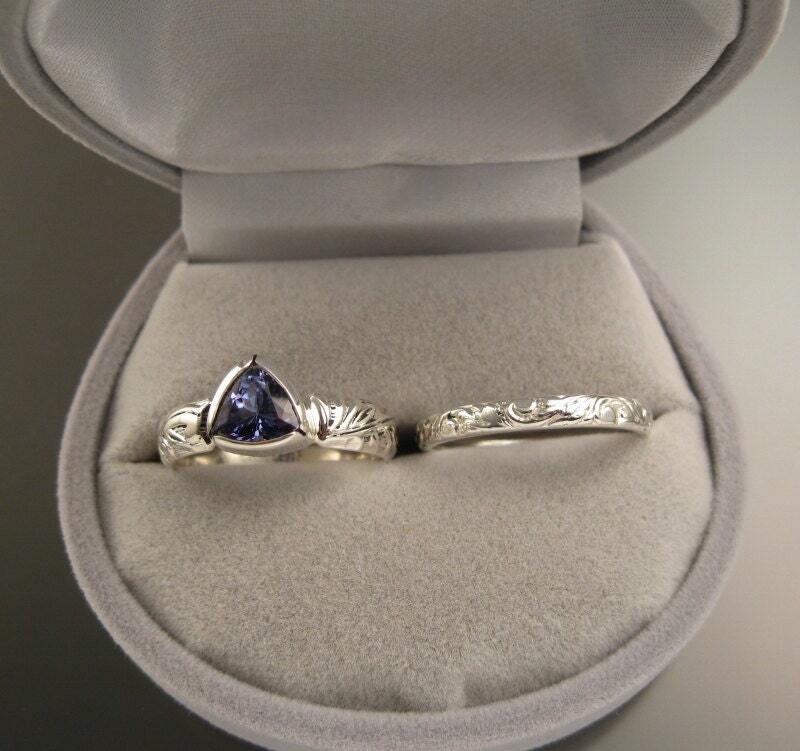 These are beautiful, expertly cut, clean, medium deep blue/violet stones. 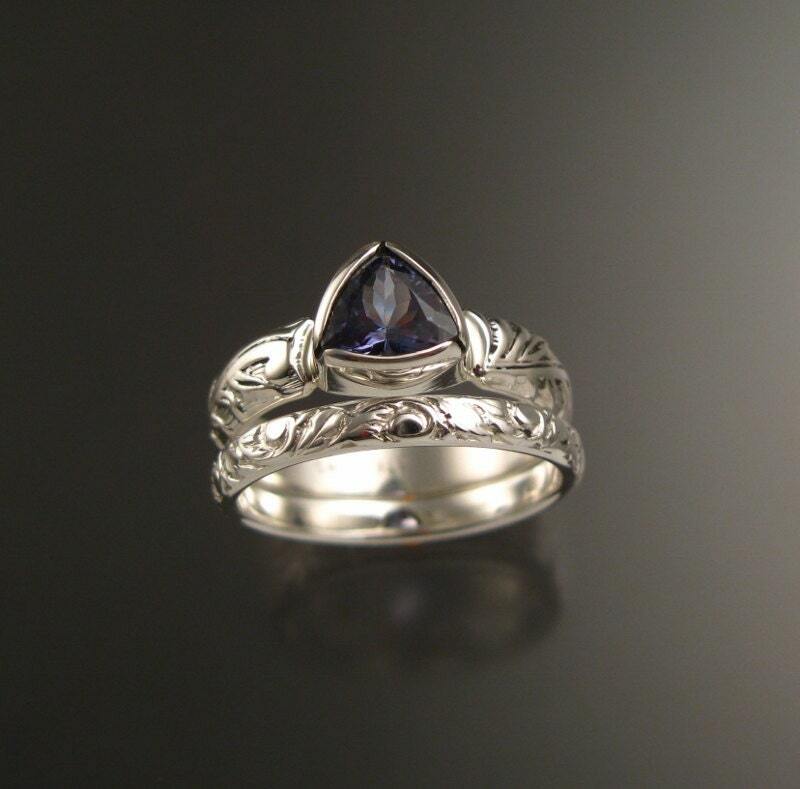 The pictured ring is size 6 for scale.